Almost 4,000 Blacks—about 700 more than previously reported—were lynched in 12 Southern states during the period between Reconstruction and World War II, according to a new report by the Equal Justice Initiative. s to sites across the South. The report makes the argument that these killings were a form of racial terrorism aimed at subjugating the Black community and maintaining Jim Crow segregation. To put in a modern-day context, the number of Blacks who were beaten, burned and ultimately hung while picnicking Whites cheered, is more than twice the number of Americans who died in the terrorist attacks on 9/11, more than twice those who died in the anti-terror campaign in Afghanistan and comparable to the number who died in Iraq. And these acts of terror against Blacks were often state-sanctioned killings, Stevenson added. 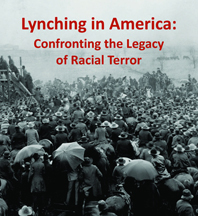 The inequalities reinforced by lynching has left its mark on the Black community and on public policy as seen in policies of mass incarceration, racially biased capital punishment, excessive or disproportionate sentencing of racial minorities, and police abuse of people of color, the report concluded.